I grabbed this book about six months ago. I meet with a group of pastors each month for coffee, conversation and then we grab lunch. We talk about the changing landscape of ministry, leading churches in California and laugh a bunch. One of the guys in our group read this book a few years ago and recommended we go through it. 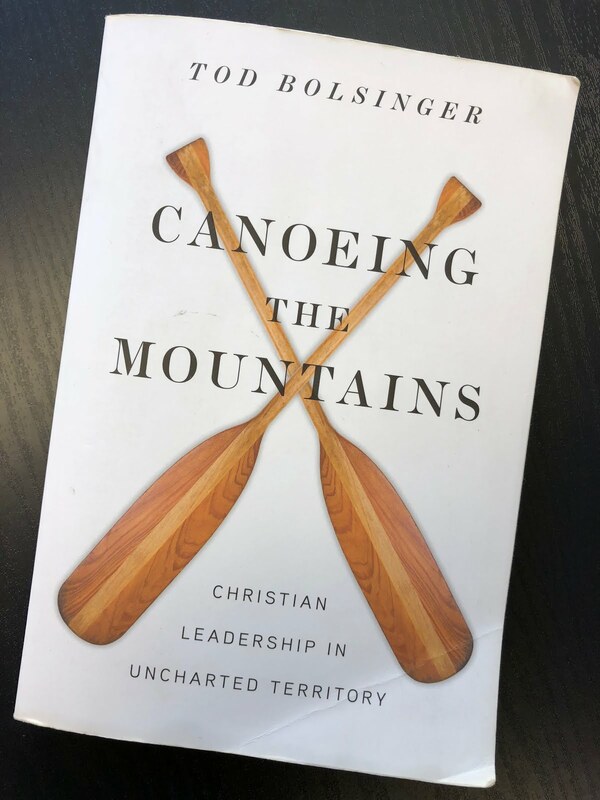 Tod uses the lessons that Lewis and Clark learned from traveling across America and translates them into the lessons pastors are currently learning. His stories about Lewis and Clark are fascinating! He gives me historical insight that I never knew. For example, the Western part of America was thought to be similar to the Eastern part. Lewis and Clark thought they would take a waterway to the Pacific Ocean! When they reached the Rocky Mountains they knew they needed to adjust their method of getting through the Rockies. These men literally carried their canoes through the mountains until they found a waterway that took them to the Pacific. They wouldn't have been able to accomplish this feat without the help of Sacagawea. She was pivotal in helping them. For example, no raiding party would bring women along. When other groups saw Lewis and Clark, with Sacagawea they knew they were a friendly group! For pastors who've been leading for decades I can see this book as a huge help. Most of my ministry experience has been in post-Christian America. I've served in cities that are not Bible-minded. I've lived in Las Vegas, the San Francisco Peninsula and now in So Cal. That doesn't mean I didn't learn from it. Tod has decades of experience I can learn from. He shares practical examples that are needed in leading the church through changes. This book had great material, that spoke to my situation, with revitalizing a church. Tod helped lead his church through a process of reaching more people in their community for Jesus. He was encouraging for a pastor to have a strong conviction, from the Lord, about the direction of the church. The pastor needed to remain calm in the direction and stay the course. It's easy to get upset but the need to remain calm in leadership is huge! The adventure that Tod leads on through the reshaping of church leadership is really good. He puts good words to what many leaders experience. He talks about how to navigate mountains when you expected water. Tod starts by discussing what it will require to chart uncharted territory. He makes sure the leader knows how to use a map and what it requires to lead off the map. Tod talks about the need for resilience and relationships to make the journey. He ends with transformation and what that looks like. I enjoyed most of this book. After the second half I felt like things got a little repetitive (that is not always bad, we need to hear things repeated so we understand them). I didn't completely like the final two chapters. I appreciate Tod's honesty about the denominational struggles he faced with leading off the map and helping his denomination but skimmed them. You might read the book and feel differently if you're a part of a denomination in change.